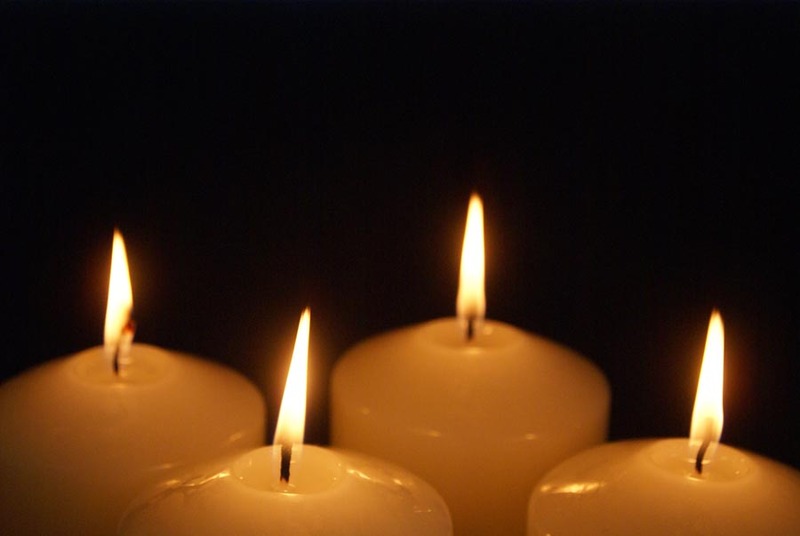 The Fourth Sunday of Advent: What Are We Really Waiting For? The fourth and final candle is lit. The stockings are hung. The trees are up. The planes have landed. They’re cutting down the trees. They’re putting up reindeer and singing songs of joy and peace. And I do wish I had a river to skate away on. Personally, it has been a difficult Advent this year. Like many of our Daily Theology contributors as well as many of its faithful readers I am in the middle of The Dissertation. Currently The Dissertation stands as the central symbol of all my personal anxieties and struggles. Working on this seemingly unconquerable tome as brought me into a different kind of Advent experience than I’ve ever had before. It has been more visceral and liminal. And, unfortunately, no amount of Christmas carols, stocking stuffers, or spiked eggnog is going to bring it to an end. I think Advent is going to last a good long while. I anticipated that the writing and the creative process would be challenging. But I had no idea what deep, dark existential doubts and fears it was going to raise—doubts and fears that I manage to push away when I keep myself busy and distracted with other activities. But they have reemerged in the lonely desert of dissertating. Don’t worry. I am not going to rehearse the painful, daily struggle of the writing process. I won’t whine about the loneliness of student life or the anxiety-inducing academic job market. I know that in the grand scheme of things, I am extremely blessed and privileged to be doing the work I do. And I do enjoy it. I really do. Whining about the difficulty and the struggle is boring, melancholic, and unproductive. But, that being said, being in the throes of this daunting project has forced me to face some ugly sides of myself. I tentatively and humbly wonder if my experience may resonate with others out there deep in the dark of Advent. Over the next few days, we will hear the angels repeatedly tell those they encounter to “Be not afraid!” In fact, this is one of the most repeated directives made throughout scripture. in my reflections on the Annunciation and Gabriel’s words to Mary, I have asked myself, what is it that I fear? What keeps me tentative, hesitant, and scared to fully live into my vocation? These past few months of intense writing have forced me to face how strongly I fear failure and how much I allow this fear of failure to get in the way of my own creative impulses. It seems that when we name our fears, we also name our deepest desires and hopes; we come to see what it is we are actually waiting for. And I realized, with a little help from friends and loved ones and lots of prayer, that my fear of failure, the fear of not being enough, and fear of not being in control is deeply rooted in my disordered desire for perfection. It turns out that I’ve been waiting most of my life to be perfect. I want everything in my life to be perfect—my work, my image, my body, my friendships, my relationships. I want to be perfect in every endeavor I attempt. In being all-consumed with the desire to write the perfect sentence, the perfect chapter, and the perfect dissertation, I have fallen into the most cliché of human delusions: if I just work hard enough and avoid all mistakes, I’ll be worthy for all the accolades that come with all human accomplishments. If I just get it all right, I may even be worthy of receiving love—both human and divine. In our success-driven culture, perfection is often confused with excellence. In Christianity, it is also often confused with holiness. Somehow if we just get our lives under control and learn how to please everyone, we will be ok. But, as we all know, perfectionism gets in the way of both excellence and holiness. Perfectionism robs human beings of our God-given capacity for risk-taking creativity and selfless compassion. It turns out that waiting for and expecting perfection is fruitless and spiritually damaging endeavor. Perfectionism is paralyzing. It stifles all that is creative and generative and ultimately human about us. Perfectionism is the voice that convinces the servant to bury that one talent. It tells Adam and Eve to hide in the garden. It keeps Martha busy and bitter. It drives Saul to jealousy and madness. Perfectionism makes us rigid, cold, tedious, and self-centered. Jesus didn’t hang out with those who tried to be perfect. (Or, rather, they didn’t hang out with him!) As my Dad constantly reminds me: perfectionism is not of the Lord. How can we hope to live into our own yeses or take risks when we are constantly preoccupied and fearful that we will fail or look foolish? “Perfectionism is the voice of the oppressor, the enemy of the people. It will keep you cramped and insane your whole life. I think perfectionism is based on the obsessive belief that if you run carefully enough, hitting each stepping-stone just right, you won’t have to die. The truth is that you will die anyway and that a lot of people who aren’t even looking at their feet are going to do a whole lot better than you, and have a lot more fun doing it” (1). Lamott’s words are all too true. I know several people who are quite resilient to the oppressive force of perfectionism. They amaze me with their creative energy and their boundless joy. They seem content to make messes, and, in the end, their work is much more enticing, authentic, and honest. And, practically speaking, they are much more productive. Undeterred by criticism, they have this innate freedom to become exactly who they are called to be. They are the wise, these creative fools, willing to put themselves and their work on the line. I have a lot to learn from them. Can I allow myself to be freed from the fear of failure that suffocates me? Can I learn to wait in joyful hope that God really does love me rather than worried fear that I may be unworthy? In today’s readings we encounter two pivotal biblical figures: King David and Miriam of Nazareth who resist this disordered desire for perfection. Both famous characters remind us of God’s desire for intimate relationship with humanity. Their stories remind us that each of us is called in our own unique way to participate in the unfolding of God’s mysterious plan. What makes David and Mary so special is not their superhuman capabilities, but their courageous capacity to participate in God’s creative mission, to make room for God and give space for God’s creative actions to take place. They each lived into their relationships with God, eager to see what God will bring about in their lives. This ability to say yes and then to risk all in order to participate in God’s life reveals their deep trust in God’s love and grace. What both David and Mary show us is the promise that with God’s mercy and love, we are enough. They lived their lives in a posture of trust and love. Perfectionism, on the other hand, indicates a life lived in a posture of fear—not trust. Jesus came so that we may have life more abundantly–not perfectly. Today, when I hear the words of the angel to Mary, I am going to pray for the grace to stop waiting for perfection and start living into my life as a co-creator with God, trusting that God’s grace and love are not only enough, but are already at work in my life. Conquering my fear of failure requires reorienting my desire for perfection towards a new desire for compassion, gratitude, and self-acceptance. These last few days of Advent, instead of waiting for perfection, I want to wait for the kind of self-acceptance David and Mary exhibit. I want to wait to be holy, not perfect. I want to wait to trust God’s movement in me. I want to wait to trust my own voice, my own God-given talents, and creativity. I want to trust in the slow working of God, so that the ticking of the clock becomes comforting rather than burdensome. I wait to have the faith that God loves me and trusts me. I wait to be able to embrace the clutter, the messiness, my creative capacity for love where my relationships and my work are far from perfect, but so much more real and life-giving. Giving up the desire for perfection just might free me enjoy these last few days of Advent a bit more faithfully and humanly. After all, that is what the incarnation and the Christmas season is all about: becoming more fully human. I leave you with some words of wisdom from Pierre Teilhard de Chardin, SJ. This passage has brought me comfort in the Advent seasons of my life. Blessings as we all wait in joyful hope to live into the lives that God so freely gives us. 1. Anne Lamott, Bird by Bird: Some Instructions on Writing and Life, (Anchor Books: New York, 1994), 28. Thank you so much! I am touched and honored. Merry, Merry Christmas! Thank you again for taking the time for post your experiences and insights. It is extremely timely for me as it is a busy and stressful time at work and I have a case of the Advent Blahs. And of course, I absolutely love the “Trust in the Slow Work of God” prayer by Teilhard de Chardin, although I need that reminder every day (not just Advent) which I why I have it posted on my refrigerator :-). Wishing you well on your Dissertation and a Merry Christmas Season also! Thank you, this is beautiful, helpful, and timely. You know what I would really love to have? A perfectionist’s guide to accompany the sacrament of reconciliation. Maybe I’ll go riff some more on the Act of Contrition and see if that can lead me anywhere. I think that you are on to something! I could definitely do with a perfectionist’s guide to reconciliation! Your point of view and experiences are most wonderful gifts this day. My gratitude to you, and my prayers for you.